A traditional style sampler featuring horns of plenty which were originally found on antique samplers. The design is stitched in a muted thread palette which works beautifully with our vintage coloured fabric. 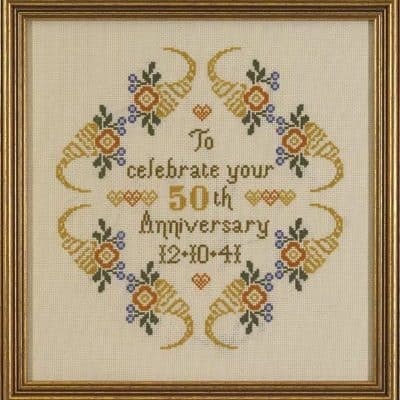 This design is suitable for an anniversary or a birthday and the chart includes all the numbers and wording for either.